Preceded in death by parents, Alec and Maxine Lazar; father and mother-in-law, Simon and Esther Tatz. Survived by wife, Cookie; daughter, Amy (Scott) Gleason; grandchildren, Sophia and Wyatt Gleason; brother, James (Karon) Lazar; sister, Beverly (Peter) Lazar-Davis; many other loving family and friends. Myron treasured time with his family and friends. 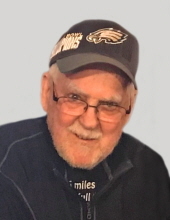 He enjoyed the Minnesota Vikings, Philadelphia Eagles and Nebraska Husker football, a round of golf, a hand of poker and time spent in the Grand Cayman. To send flowers or a remembrance gift to the family of Myron S. Lazar, please visit our Tribute Store. "Email Address" would like to share the life celebration of Myron S. Lazar. Click on the "link" to go to share a favorite memory or leave a condolence message for the family.